SunPeaks summer vacations are affordable, convenient, outdoorsy, family and dog-friendly fun with quick, easy access from the lower mainland and Seattle areas! Already known as one of the best and second largest ski resorts in Canada, Sun Peaks is also quickly becoming known for how amazing it is for all their summer activities and special events as well. 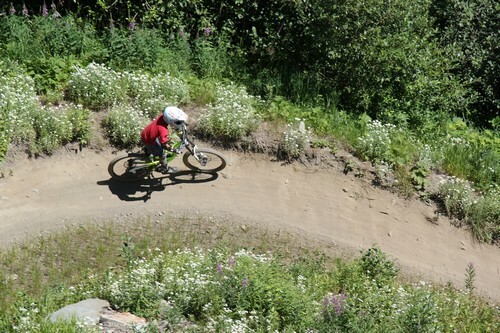 Discounted summer lift passes for alpine hiking and the bike park are available for great savings. Simply park your car at your Sun Peaks hotel or other Sun Peaks accommodation, all located right by the small, pedestrian friendly, European-style alpine village, and chances are you won’t need it again until it’s time to leave. 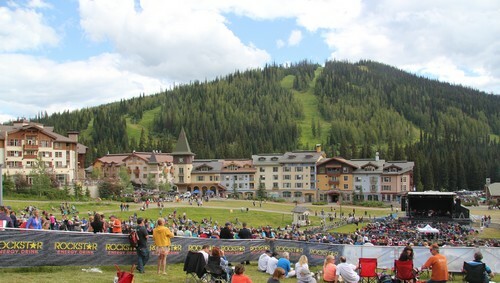 Free outdoor summer concerts at the base of the mountains, Sunday farmers’ markets, along with other weekly festivals and special events, combined with pretty much any outdoor activity or sport, make SunPeaks summer vacations a blast for all. Let the kids wander through the quaint village or check out the video arcade, while adults enjoy the shops, restaurants, spas, Sun Peaks activity booking office and beautiful mountain views. Sun Peaks Spa packages, as well as many fun tours, including Sun Peaks winery tours to the new Kamloops and Thompson/Shuswap area wineries, craft brewery tours, and also a super-fun Lake to Peak Adventure tour which includes Sun Peaks Standup paddleboard lessons, lunch, and a guided hike to breathtaking views, are also available. While most other summer tourist destinations jack up their rates during the summer months, the Sun Peaks hotels and private ski chalets, including our Best Sun Peaks condo and Best Sun Peaks Townhouse in Trapper's Landing, lower their rates to entice visitors to stay and explore this beautiful outdoor recreation mecca. Click to save 10% on Sun Peaks condos, townhouses, family chalets and luxury Sun Peaks properties. 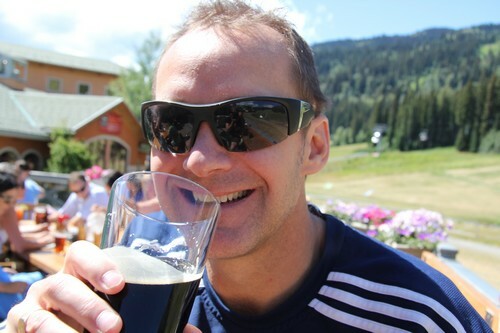 There are also a few Sun Peaks camping options, or enjoy a day trip where you can enjoy BC's emerging Craft beer industry or Kamloops wine region or a beautiful family beach and recreational area. SunPeaks has a wide variety of owner-operated restaurants and coffee shops, but no chain-style operators. From delicious Japanese sushi, Italian, and German, to pub-style burgers and hot dogs and outdoor patios, there is something for everyone. 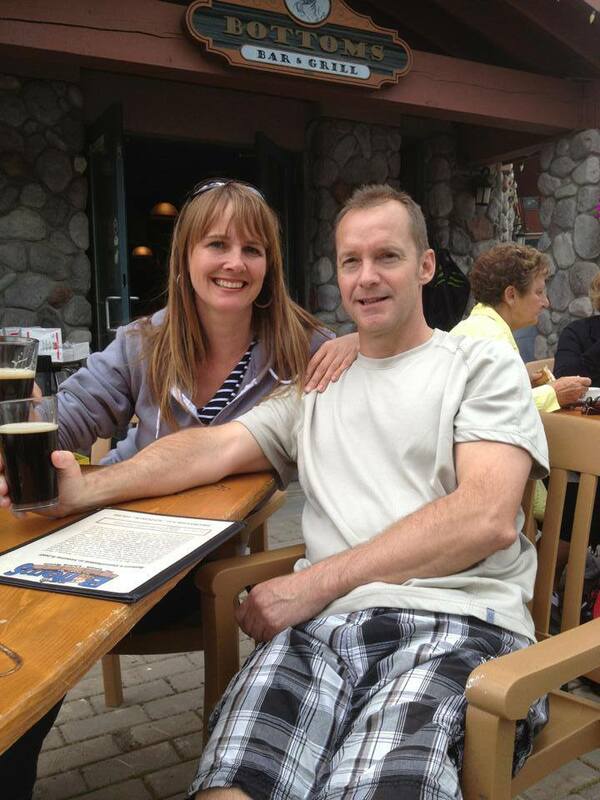 You can even enjoy a slice of Sun Peaks best pizza. Yum! Some restaurants do take a well-deserved break during the slower summer season, so be prepared to make a back-up choice just in case. And if your SunPeaks accommodation has a kitchen or BBQ, you can always bring your groceries and cook your own meals. Or plan a high-end, gourmet, catered dinner party in your Sun Peaks vacation rental accommodation. We are compiling a list of the Best Sun Peaks Restaurants and coffee shops – let us know what your favorite is! 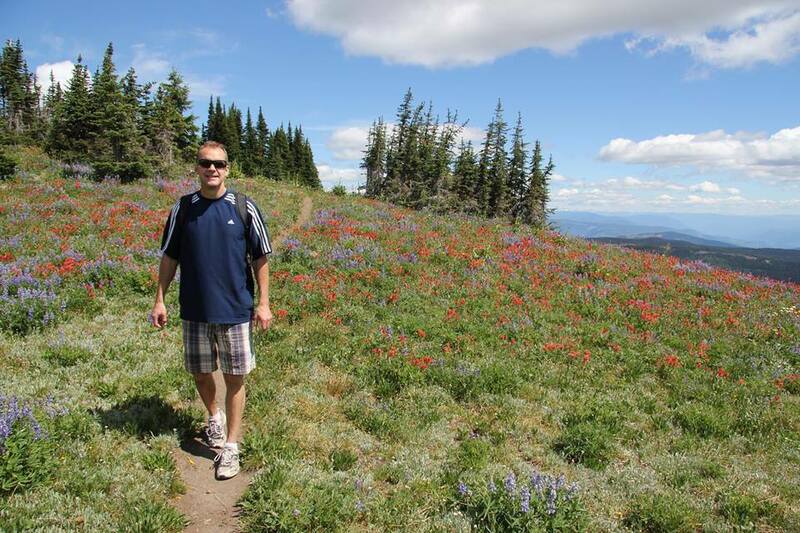 From the easy, paved, scenic Sun Peaks Valley Trail, beautiful vistas, to the hike up to the summit of Tod Mountain, there are Sun Peaks hiking trails for all ages and abilities of hikers, easily accessed right from your doorstep. The SunPeaks hillsides and meadows come alive with colorful wildflower blossoms during late July – early August as well. 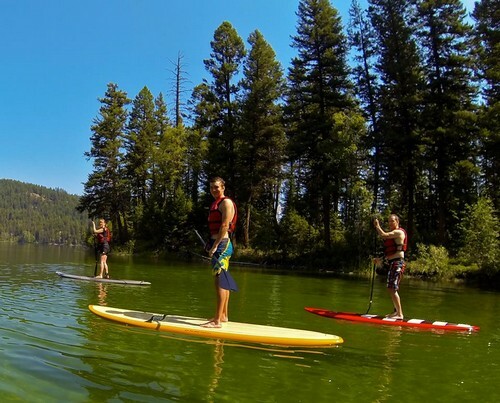 There is also a Lake to Peak Adventure tour which includes Standup paddleboard lessons, lunch, and a guided hike to breathtaking views. Explore on your own or join a guided hiking tour. Climb from the base yourself or pay a few bucks for lift-accessed trails. Be Bear Aware though as there are plenty of black bears in the area. Easy and enjoyable cross-country bike trails wind throughout the village and neighboring forested areas for those just looking to explore, or a popular downhill bike park is available for those looking for a little more extreme adventure. SunPeaks offers a wide variety of trails for all abilities – some free access and some lift-accessed. The highly addictive, fun, fast growing and popular water sport – standup paddleboarding (known as SUP) is another cool family-friendly activity at Sun Peaks. Nearby McGillivray and Heffley Lakes are easily accessible, and provide beautiful scenery and wildlife viewing opportunities. SUP rentals and lessons are available on Heffley Lake, just minutes away from Sun Peaks village. Escorted, small group (5 guests) paddleboarding tours with an expert guide/instructor to nearby Johnson Lake are also available during the summer. The same wonderful horses that pull the Sun Peaks sleighs during the winter months, provide enjoyable, family freindly trail rides on nearby trails (and even right through the village) during the summer. 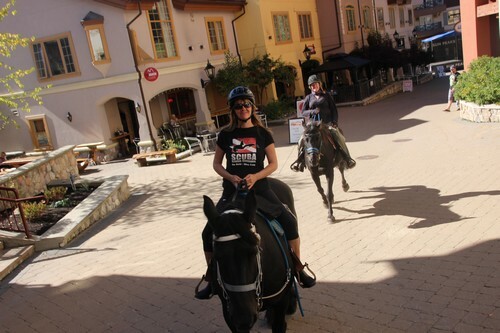 For SunPeaks summer horse ride options. Contact our friends at Sun Peaks Stables for more info. Enjoy the driving range at the base of the mountains, or a round on the popular, challenging, par 72 Graham Cooke Sun Peaks Golf Course – home to the highest elevation tee in British Columbia (where your balls fly further). 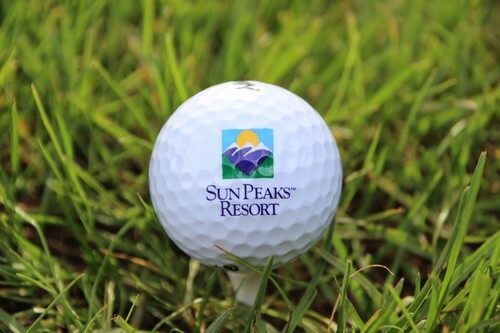 Weekday specials are available for SunPeaks summer golfing, and with the front 9 and back 9 being quite different as they wind through the valley, you are sure to enjoy the beautiful course over and over again. As with the Sun Peaks stand up paddleboarding, the nearby lakes make for a beautiful location to canoe or kayak. Sun Peaks canoe rentals or kayak rentals are available through our friends at Discover Sun Peaks Adventures. They also offer Sun Peaks summer Nordic pole walking (with free introductory tours) , geocaching, and group adventure and team-building activities. Enjoyable and educational guided Voyageur canoe group tours are also available and tons of fun! Brand new in the summer of 2015 and now operating, these gravity fed Sun Peaks downhill go carts are tons of fun! The new track will be 512 metres long with a vertical descent of 52 metres and an average speed of 35 km/h. You need to be over 12 to ride. The platter lift will run daily during the summer months to bring both carts and racers to the top of the course. Two newly re-surfaced tennis courts are available for free public use, and are located right beside the popular outdoor swimming pool and hottub facility. Even though the summer temperatures are 10 degrees cooler than down the hill in Kamloops, the pool is always a fun place for the kids to chill after a fun summer day at Sun Peaks. Speaking of chilling at the end of a wildly fun summer day at Sun Peaks, there are a number of outdoor restaurant and bar patios where families can relax, talk about their best Sun Peaks Summer activity, and watch others while they partake in the many summer activity options that are available. Let us know what your favorite SunPeaks Summer activity was using the form below. Come and enjoy some relaxing time in our private hot tub overlooking the 16th hole of the Sun Peaks Golf Course in the Stone's Throw complex or Trapper's Landing hottub.